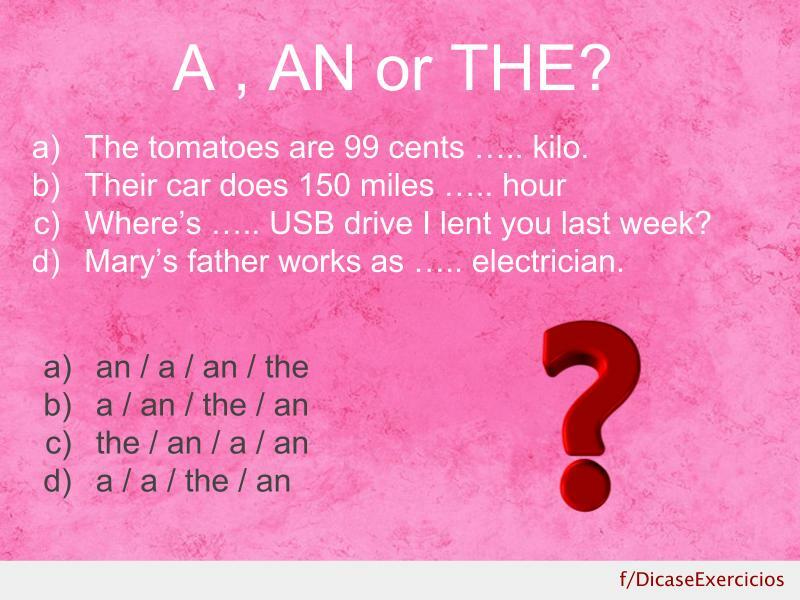 Exercise: A, AN or THE? a) The tomatoes are 99 cents ….. kilo. c) Where’s ….. USB drive I lent you last week? d) Mary’s father works as ….. electrician.